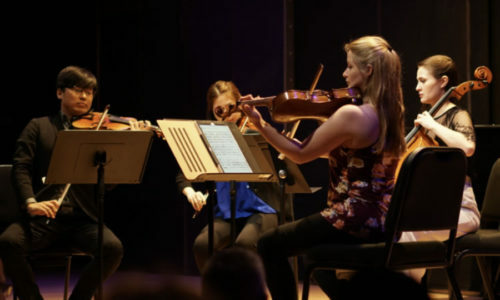 The New York Classical Players (NYCP) return to the College of Mount Saint Vincent for a dynamic chamber music concert on March 22, 2019 at 3 p.m. in the President’s Reception Room. The event is free and open to the public. Join the College and NYCP for Mendelssohn, Adventures on String and enjoy performances of the popular Piano Trio No. 2, the rarely heard Variations Concertantes for cello and piano, and the late-period masterwork, String Quartet Op. 80. NYCP is the region’s only professional orchestra sharing exclusively free performances of world-class talent with works that showcase extraordinary selections for chamber orchestra. Comprised of creative and virtuosic young musicians, NYCP’s adventurous programming shares familiar masterpieces, bold new commissions, and unexpected musical treasures. For more information, please contact Rob Jacklosky at rob.jacklosky@mountsaintvincent.edu or visit nycpmusic.org.